The film is based on the true story of Captain “Sully” Sullenberger, who on January 15, 2009 safely landed his damaged airplane carrying 155 passengers on New York’s Hudson River. Dubbed the “Miracle on the Hudson”, Sully was applauded for his remarkable skills in landing the plane on the river, but as we can see in the trailer, an investigation unfolded shortly after that threatened to destroy his reputation and his career. Tom Hanks takes the lead as Sully in the film and who better to take on this role? Hanks is a remarkable actor and has already given a similar performance as a hero-Captain of a large vessel in Captain Phillips. Sully channels that film based on the above theme, but there are also shades of the Denzel Washington led film Flight, in where it appears the Captain has a past of alcohol use. Aaron Eckhart, Jeff Skiles, Laura Linney and Anna Gunn round out the superb cast. Four time Oscar winner Clint Eastwood has an excellent track record of directing high-quality dramatic films and this looks like it could be right up there with his best. Sully is based on the book Highest Duty by Sullenberger and Jeffrey Zaslow. 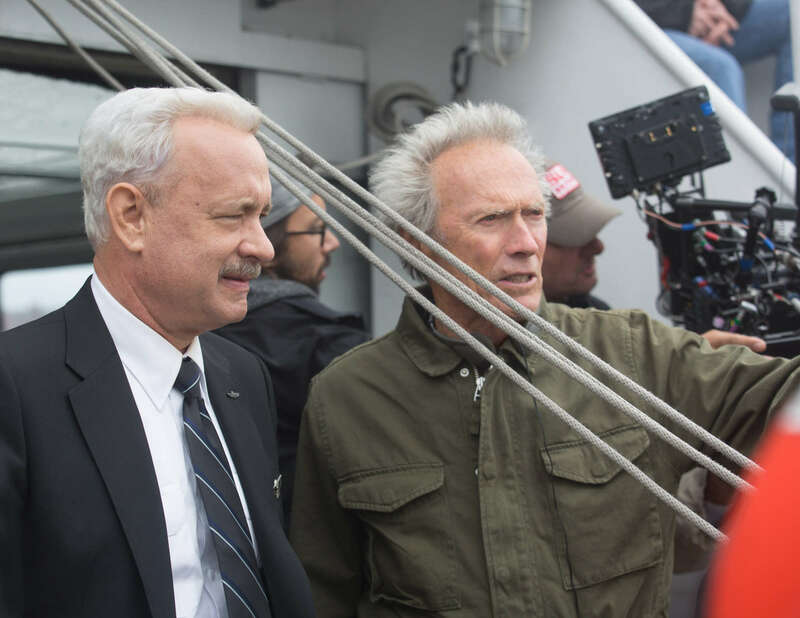 Check out the trailer below along with a behind-the-scenes shot of director Clint Eastwood with lead actor Tom Hanks. Sully is due for release in Australian cinemas on September 8, 2016.